EC City of London Move out & End of Tenancy Cleaning | Quality Property Care Ltd.
You might be rather certain in your cleaning abilities, but when it comes to cleaning at the end of your tenancy agreement - or as it is also referred to - deposit back cleaning, it is a great idea to trust some professional help. Quality Property Care Ltd. delivers a professional end of tenancy service to please the residential and commercial end of tenancy cleaning needs of the people and firms of City of London EC and the region. The post tenancy cleaning firm provides a high quality cleaning service which comes with a forty-eight hour top quality guarantee and at an incredibly competitive end of tenancy cleaning rate. Contact our phone 020 3746 4287 or send an online inquiry to get more information on the price and conditions for scheduling our expert tenancy cleaning service. All through the property and sleeping rooms we take care to dust through and wipe all of the woodwork, eliminate all cobwebs from ceilings, clean light switches and sockets. For sections where wall area cleaning is required, you can arrange for per room cleaning for 15 GBP. We clean mirrors and photos, as well as the top of image frames, light fittings and shades. We thoroughly clean all buttons and skirting boards, as well as wipe on top of all doors and door frames, clean carpet edges, clean curtain rails, clean around the fire place and its encircling area. We also clean and dirt the wardrobe interiorly, outside and on top, we do the exact same with the drawer - inside/out and on top. Door marks are eliminated as well as clean inside of compartments. We wipe down windows sills, wipe doors and eliminate fingerprints from door handles and all around door handles. Carpets and rugs we clean thoroughly, we vacuum through to the edges and move pieces of furniture to reach all invisible places for a more complete finish, if required we can clean with a dry solution or use a steam cleaner to draw out deeply embedded stains. 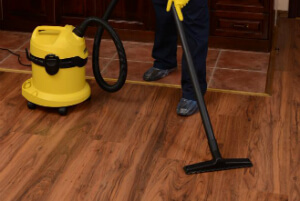 Hard floors we wash with a mop and verify and remove residual hair and dust. Kitchen appliances like microwaves, ranges, toasters and so on are cleaned completely as well, each finished cautiously and with intention to do a great job. The range is cleaned, degreased with its oven, hob and barbeque grill property treated, the grill pan and oven racks are cleaned, the inside top of the oven will get a special treatment, the rubber seal is easily wiped and washed and we move the stove to clean behind it if necessary. The microwave is leaned within and out, and also on the top, any chemical substances utilised to clean and eliminate food deposits is wiped away and completely washed, the rubber seal is inspected and the range is clean on top and beneath. We won’t disregard even the smallest of details, your toaster is cleaned from any leftover crumbs, its wiped clean if required. We name it fast and furious, due to the fact our great quality and top-notched service is performed by hard-working, proficient, professional end of tenancy cleaners. They begin the procedure with an up front check of the property. It allows us to organise your end of lease cleaning service in a most appropriate way. If you want to, we can set up an emergency service, too. Also, we deliver all the cleaning detergents and instruments. You don`t need to invest in anything, which is one other opportunity to make some smart cost benefits. Just about all end of lease cleaning chores from Quality Property Care Ltd. are carried out with risk-free and infant-friendly cleaning detergents with zero chemicals. Obstinate and good old discolorations are taken out by hand, if necessary. Sensitive materials are approached with unique innovative risk-free methods. We clean out cupboards and compartments, we clean on the inside eliminating any leftover foodstuff and packages. Out of date food we throw away one which is still usable we place aside for the customer or give away to a shelter close by. Marks around the grips are eliminated and unneeded items are thrown away. The trash bin is dusted and washed on top and under, the soap dispenser is also cleaned. The sink is cleaned and cleared then simply wiped dry. We clean and dry the wall tiles all over the sink, while also removing food and dirt deposits around the sink if any. We also clean the appliances on the inside and out, removing food remains. To avoid fungal growth and get rid of odours we employ anti-bacterial detergents with very long lasting effects not having any harmful effects on humans or pets. Don`t forget to make a booking for our excellent end of tenancy cleaning service. We offer specific discount rates on early reservation! Get a free quote today! Call 020 3746 4287 right away - we are adaptive enough and understanding and we will appoint you the service in a most practical for you time!